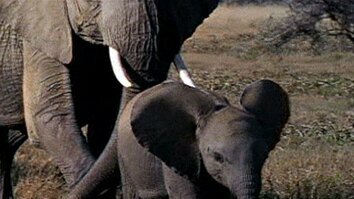 In July 2015, 24 elephants were exported from Zimbabwe to China in a deal sanctioned by CITES. 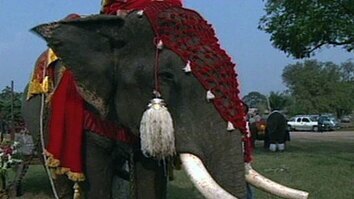 Joyce Poole, an elephant behavior specialist, analyzed this secretly obtained video. She says the elephants appear to be suffering both physically and emotionally. 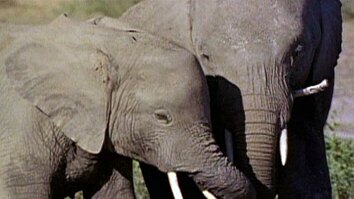 Elephants are known for their emotional depth and highly social behavior. Poole thinks the behavior of these animals could have been caused by poor treatment by their handlers. All the elephants in this video appear to be less than five years old. Many of the elephants have wounds. Poole thinks their ear flapping indicates that these elephants are overheated. This elephant seems to be trying to get some water, which is just out of reach. The elephants also seem to have been violent toward one another. Poole says these three calves appear to be agitated and unnaturally aggressive.